S60 sphere ! | Is what your symbian need ! Is what your symbian need ! 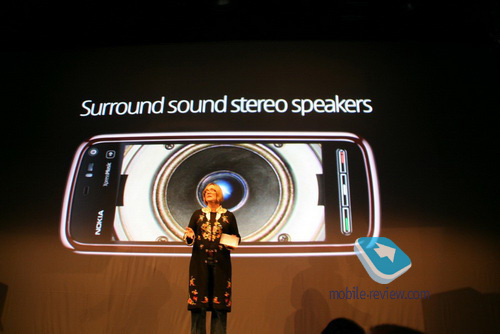 Nokia 5800 previewed by MR ! You can read the full story over here ! Brain-controlled N95 8GB, Demonstrated By NeuroSky ! September 23, 2008 at 10:59 am · Filed under What's new? and tagged: What's new? NeuroSky Inc, a venture company based in San Jose, Calif, prototyped a system that reads brain waves with a sensor and uses them for mobile phone applications ! By reading brain waves such as α and β waves, the system can roughly measure the degrees of brain’s relaxation and concentration, NeuroSky said. The data of brain waves can be displayed on the screen of a mobile phone by using a visualizer or can be used to control the movement of a video game character. (3) a game application to move a video game character to an intended place as quickly as possible on the screen of a mobile phone. The more the degree of brain’s concentration, the more quickly the character moves. New Pictures of The Nokia E75 ! SIC! 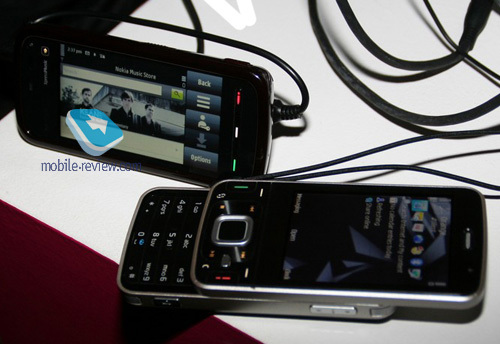 BT-Watch : Get your Sony Ericsson MBW-100 and MBW-150 to work with YOUR Symbian S60 phone ! September 20, 2008 at 5:28 pm · Filed under Miscellaneous Utilities, What's new? and tagged: Miscellaneous Utilities, What's new? That’s right ! Nokia and Samsung Smartphones can now be connected with Sony Ericsson Watches! The Bluetooth-watches MBW-100 and MBW-150 rank among the most popular accessories by Sony Ericsson for mobile phones. Naturally, they can only be used in combination with Sony Ericsson mobile phones – until now! SIC! 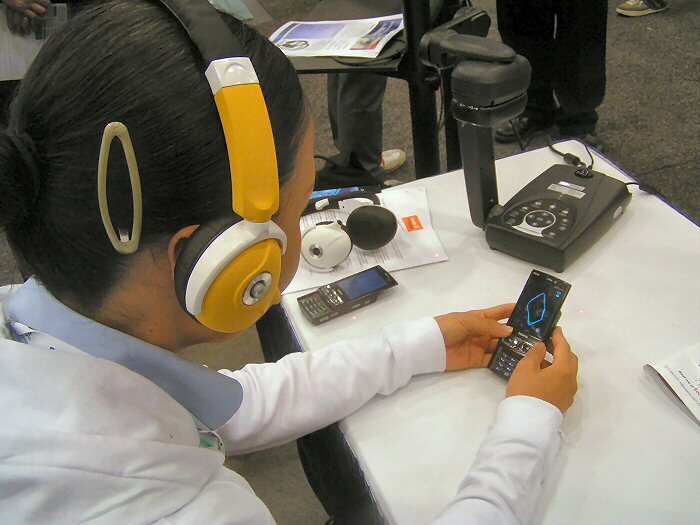 Software GmbH, a Germany-based specialist for mobile phones, has developed a software which provides the same features for S60 Smartphones by Nokia and Samsung that can originally only be used by Sony Ericsson mobile phones. Incoming calls, text messages, e-mail, calendar and alarm clock – you can now control everything at your wrist! This video shows how the Sony Ericsson Watch MBW-150 works in combination with the brand new Nokia E71. The software SIC! BT-Watch support every S60 3rd Edition mobile phone by Nokia and Samsung. ForecaWeather : Another “good” weather Software ! A several months ago, Foreca (one of popular weather forecaster on the web) has released ForecaWeather as a Symbian application, which provides current conditions, 10 day weather forecasts and various weather animations for any location world-wide ! anyway i’ll reintroduce it because i see that people still don’t know much about it ! With ForecaWeather, you can choose from over 140.000 hand picked locations or you can retrieve forecasts for your current location using your phone’s GPS. You can also use the Landmarks in your phone or you can enter a new location by coordinates. and the most interesting feature is that ForecaWeather lets you display a 10-day forecast in your phone’s calendar as memos. NB : Graphical products are available as still images and animations. Handy Alarm Pro : Another step forward from Handy Alarm! Well, yesterday, Epocware (yes again) announced their next application upgrade, the new Handy Alarm Pro! We all know Handy Alarm as classical alarm application (classical because most of latest nokia devices offer a “complete” alarm solution), so, a nice move was made by Epocware by releasing the first beta of HAPro. Why? – Phone Number : same as above, enables you to add reminder for a number that doesn’t exist in your contact list. – Voice note : Another interesting feature, it enables you to record a voice note instead of text note which is faster and more productive ! – From SMS : somebody sent you a message that contains something important? or simply you’d like to make reminder note from this message? no Problem, “from sms” feature can do this ! –> The last thing i’ll cover in this mini review is the integration with Handy Shell, it means that you can use HAP as your default alarm application when using HS ! NB : The app is still on its early beta so stay tuned ! Nokia E75 and E72 leaked !? Nokia announced … without wanting it :p two mobile not yet known. The E72 and E75. Marez on SymSMB 4.0 released !